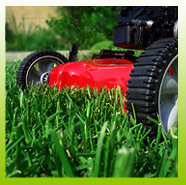 We offer a full range of lawn care services from Mowing to fertilising & weed control. We are a fully independent local business and we care about our customers. MDA Services specialises in lawn & garden maintenance for residential property, acreages, council areas, commercial properties & rural facilities. We offer a range of garden care & maintenance services for homes and business premises including pruning, trimming, hedging, mulching and fertilisiing. MDA Services offers a range of Property Maintenance services along with our lawn & garden services. Services include Green waste removal, Gutter Cleaning, Weed Spraying (Broad-leaf, Clover, Bindii etc) and Chainsaw Work. At MDA Services we use all our own equipment. We have two different size ride-on mowers (38 & 48 inch decks) We can catch or mulch lawns and do not cross mix chemicals in spray units.